Great Food Gifts for the 2012 Holiday Season! Check out these Gourmet gifts for the upcoming Holidays! Popular items include Executive Box with Chocolate Almonds, Snowman Tower, Grand Gourmet Gift Basket Tower and MORE! 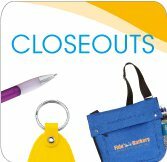 Great promotional items at ROCK BOTTOM prices! Items are being revamped, revised, changing style, color, etc. All great products, just clearing out inventory for new. When these items are gone, they are gone. Always changing! Need a mug at a great price? How about a pen? Golf tees? Bags? So many items, all at great pricing. Same great quality, just need to make room for new inventory. When you need that extra bang for your buck. When you want Leed’s style and quality at a discount. Check out the wide range of discounted items. Many available at low quantities.